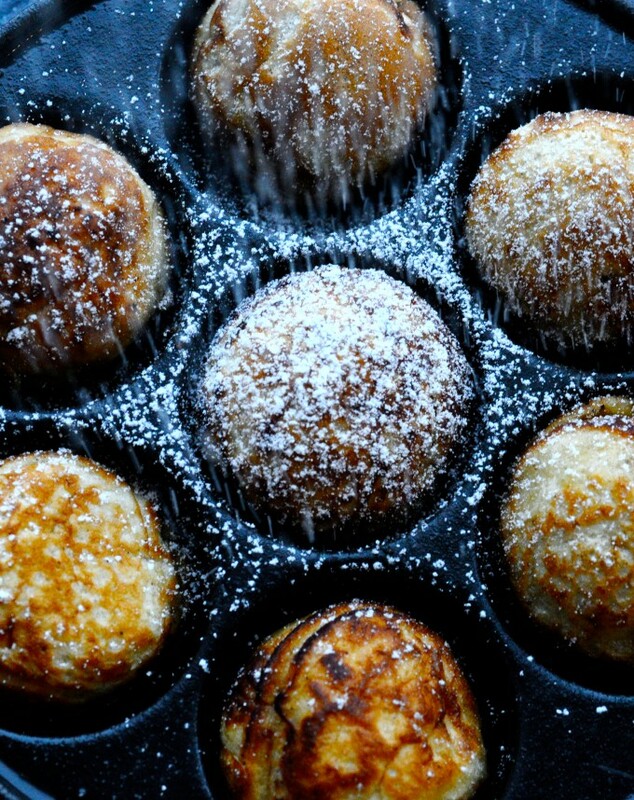 Danish round pancakes, also called Æbleskiver in Danish, is a dish that almost every Dane eat or at least is offered during December. 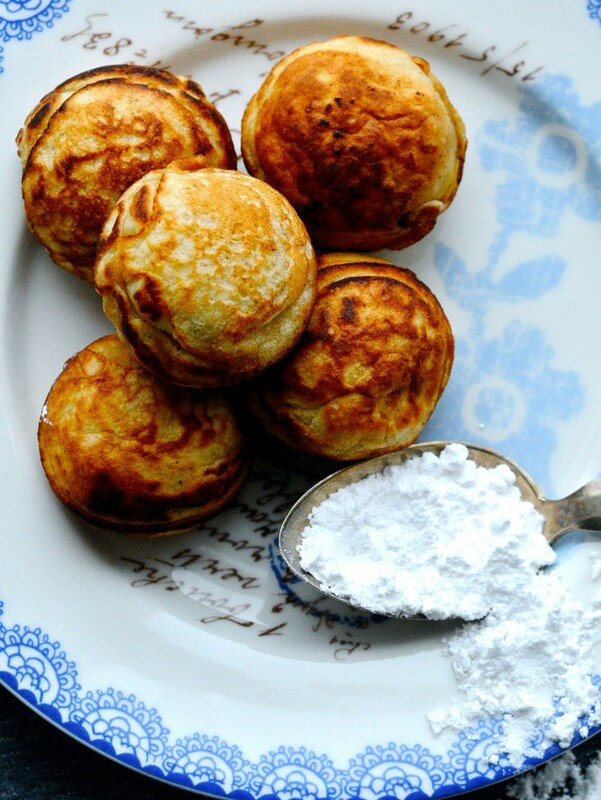 It’s truly a classic christmas favorite in Denmark and we even have a special frying pan for making these cute little round pancakes. Christmas also means lots and lots of cozy christmas gatherings with friends, family and colleagues and at these gatherings the Danish round pancakes are a sure thing. The same goes for the Danish Gløgg, which is a mulled wine with lots of chopped blanched almonds and raisins. Oh yes, I almost forgot! Little brown christmas cookies with cinnamon, grounded ginger and cloves is also a must for christmas! In a large bowl, mix the buttermilk with sugar and eggs. 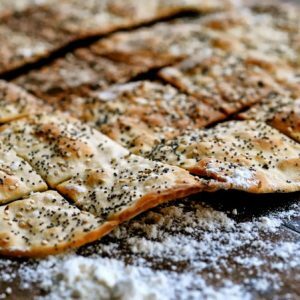 Add flour, cardamom and baking soda and mix everything well together. 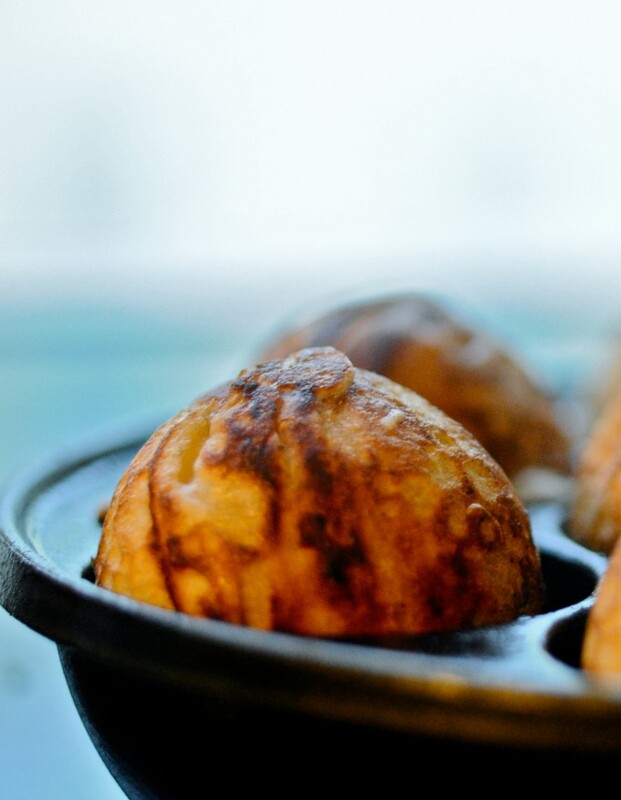 In a special frying pan with holes, melt generous amounts of butter and put some dough in each hole. Fry the fritters on maximum heat for a few minutes and then turn them around, so they also get crispy on the other side. 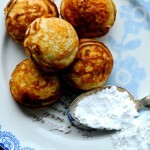 Traditionally the Danish round pancakes or Æbleskiver was baked with apples inside. 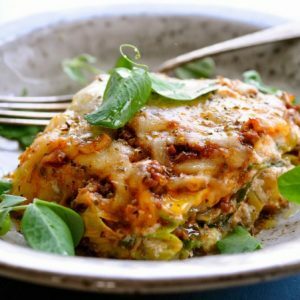 Some people still do that, but this recipe is from my great grandmother and it’s without the apples but definitely the best recipe you can find!…if you ask me! I love these round pancakes and it really gets me in the christmas spirit. The round pancakes are always eaten together with icing sugar and jam and if you give it at try and do get a hold of the special frying pan (try ebay! ), I can highly recommend this blackcurrant jam with dates to go with them.